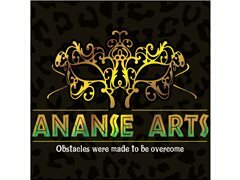 Ananse Arts is looking for a dedicated Dance Teacher for a Saturday cultural classes. (10am till 1 pm) but timings may be subject to change. Classes will be in Term time only. We are looking for a passionate individual who is energetic, a good team player, consistent, vibrant, outgoing and easily engages with youth between the ages of 10 - 14 and 15 - 19. We ask that the due to the cultural importance of the school, all teachers much be from the Caribbean and or African Community. We are looking for a dancer teacher who is proficient in African dance styles and Caribbean dance styles. Must be able to deliver a high standard of technical training to our pupils in the Wembley and Brixton areas. Teachers who only know street dance or contemporary will not be eligible for this role. Applicants should hold a full and current DBS/CRB certificate. Fully paid and travel expenses included.